Urban Funks debut release Heroes And Legends: The Best Funk Drummer! 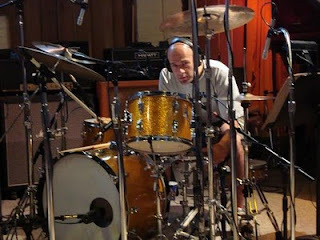 John Thomakos is a professional Drummer and Percussionist. With a career spanning nearly three decades, he has performed with some of the finest musicians and entertainers in the world. His most recent undertaking: a North American tour with Cirque du Soleil’s- KOOZA. 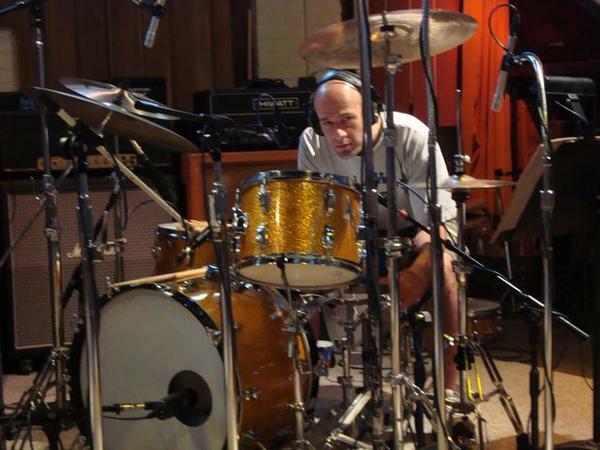 Born and raised in Baltimore, Maryland, John received his first drum set when he was five years old. Soon after, he played his first performance-Greek music with his Godfather on bouzouki in the social hall of their church. With a growing passion for music, he began playing in bands and honing his skills which led him to study at the Baltimore School for the Arts, as a Percussion/Music major. He graduated with a scholarship to the Berklee College of Music, in Boston, Massachusetts- And went on to study at the Musician’s Institute of Technology in Los Angeles, California, where he was awarded a Certificate of Honor, and an award for “Best Funk Drummer”. Today his Discography of Recordings with an eclectic range of artists and groups is, to some degree, a testament of his merit and most certainly a reflection of his versatility. He has also recorded jingles for radio and TV, as well as music for The Discovery Channel, HBO Pictures and the television shows, The Young and the Restless, The Oprah Winfrey Show, The Regis and Kelley Show, Brooklyn South, That’s Life, and Homicide. Over the span of his career, John has also performed live on television shows including The Regis and Kelly Show and The Tonight Show with Jay Leno. He has been employed by a variety of extraordinary artists and groups, ranging from The Global Percussion Trio to New Orleans legend and guitar superman, John Mooney, to pop superstar and three-time Grammy Nominee Vanessa Carlton. Most recently, John has toured with Cirque du Soleil’s show, KOOZA. Having performed over 600 shows across North America and Canada, this high energy production features some of the world’s top performers and spotlights John in a high energy drum solo. Drum Back Beats Encyclopedia, published and distributed by Alfred Publications. Encyclopedia of Drumset Styles published band distributed by Mel Bay Publications. John is featured on “Urban Funk’s Heroes And Legends”.